A vinyl window provides the best combination of durability, style flexibility, efficiency, and affordability that makes your home cooler in the summer and warmer in the winter, season after season. A factory trained owner will meet with you and find the proper, precise and professional replacement window for your home and your budget. 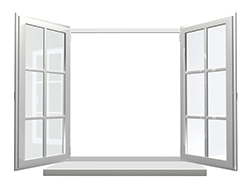 With every style of replacement window imaginable, we'll be sure to find the replacement window that's a perfect fit! We offer the highest quality vinyl and wood replacement windows by Marvin, Pro-Via and Vinyl Max. Offering roof repair in Hartville, Ohio . Armorguard Roofing and Construction is established as the premier roofers in hartville ohio. Located in what's known as the gateway to Amish country, quality and craftsmanship are expected, and Armorguard Roofing is no exception. Call Armorguard Roofing today at (330) 877-7663 for your roofing, siding, window, and construction needs. Armorguard Roofing is licensed, bonded and insured. We are GAF/ELK Factory Certified, a MasterElite roofing contractor, and an Atlas Pro Contractor. We belong to the NRCA (National Roofing Contractors Association. Started business in 2003 and is registered with the state of Ohio. Hours of operation M-F 8:00 am - 6:00pm. Sat. 8:00am - 12:00pm. We accept visa, MasterCard, Discover, debit, money orders, travelers and personal checks and cash. Financing is available.